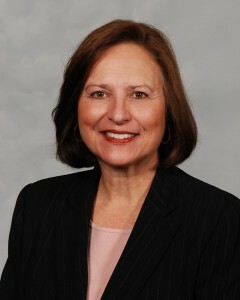 Senator Deb Fischer (R-NE) is a committed pro-lifer. Click here to view August 20 floor speech. WASHINGTON, D.C. – On August 20, the U.S. Senate passed a bipartisan amendment to the minibus appropriations bill introduced by Senator Deb Fischer (R-Neb. ), a member of the Senate Armed Services Committee. The measure would provide an additional $10 million in funding to the Defense POW/MIA Accounting Agency (DPAA) for identification work in processing remains of American service members. A DPAA lab is located at Offutt Air Force Base in Nebraska. “The families of American men and women lost in service deserve closure. Our amendment would provide the resources needed to conduct forensic analysis of these new remains from North Korea. It would also ensure the lab at Offutt isn’t negatively affected by shortfalls due to this influx of work. I’d like to thank my colleagues for supporting this effort to properly honor the memory of our missing and fallen service members,” said Senator Fischer. “The Veterans of Foreign Wars of the United States is incredibly encouraged that North Korea has returned 55 boxes of remains believed to be U.S. service members who have been missing in action since the Korean War. The VFW thanks Senators Fischer and Baldwin for their leadership to make certain the Defense POW/MIA Accounting Agency receives the funding it needs to reunite our fallen heroes with their loved ones,” said VFW National Security and Foreign Affairs Director John Towles. Following the June summit between President Donald Trump and Kim Jong Un, the U.S. received 55 boxes from North Korea containing remains believed to be missing Americans from the Korean War. In addition, there are 5,300 U.S. military personnel who remain listed as Missing In Action, and are presumed deceased during the Korean War, their remains still located in North Korea. The DPAA, which accounts for our missing personnel to their families and the nation, will process the remains at a DPAA lab located in Hawaii. Senator Fischer’s amendment would make sure DPAA has adequate funding in their laboratories. It would also prevent resources from being directed away from Offutt due to any shortfalls caused by new work on identifying the remains from North Korea. Cosponsors of this amendment include Senators Deb Fischer (R-Neb. ), Tammy Baldwin (D-Wis.), Elizabeth Warren (D-Mass. ), Mazie Hirono (D-Hawaii), Brian Schatz (D-Hawaii), Susan Collins (R-Maine), Joe Donnelly (D-Ind. ), Todd Young (R-Ind. ), Jeanne Shaheen (D-N.H.), Sherrod Brown (D-Ohio).